“Philanthropy can take words and use them so much that they become meaningless,” remarks Rev. Mac Legerton, executive director of the Center for Community Action, based in Eastern North Carolina, in a report from the National Committee for Responsive Philanthropy (NCRP). The NCRP report, authored by Ryan Schlegel and Stephanie Peng, is the third in an expected series of five reports called As the South Grows. This installment is titled “Weathering the Storm.” Legerton’s complaint is that the term “resilience” is being watered down by overuse. NCRP’s main messages are clear. They include key principles like investing for the long haul (or, in the report’s language, having “skin in the game”), understanding the importance of communities’ relationship to the land, and looking to intermediaries as key partners. The report also identifies some basic mistakes to avoid, such as targeting already well-resourced environmental groups, ignoring existing infrastructure, and displacing rather than buttressing the leadership of grantees. Schlegel and Peng note that grants for community organizing, advocacy, and policy change work combined were only four percent of total foundation grants to Eastern North Carolina nonprofits in the first half of the decade. In southeast Louisiana, other than New Orleans, the percentage was even lower—0.3 percent. In short, strategies to address the obvious inequalities of power in Southern communities are barely on the map, let alone the agenda, of Southern philanthropy. To give a hint of what change might look like, the report highlights three foundation efforts, an intermediary and three community groups. The focus here will be on the three community groups and the intermediary. Two of these—the Center for Community Action and the North Carolina Economic Justice Network—are from eastern North Carolina. The third group, The Conservation Fund, operates nationally as an intermediary, but with an active state office in North Carolina. 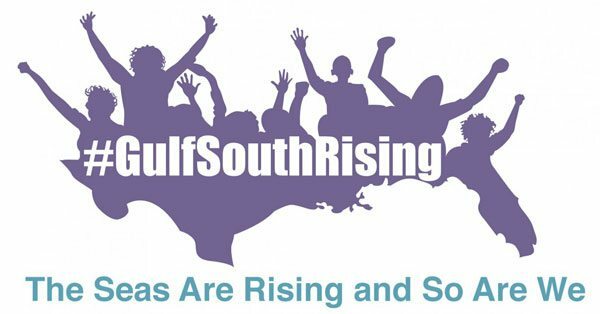 The fourth group, Gulf South Rising, is not a formal organization but rather a coalition that operated throughout the South, including from southeast Louisiana, from the time of Katrina until 2015 and out of which grew a loan fund that operates to this day. The state of North Carolina proposed a toxic waste disposal landfill in the county, which was 75 percent Black and ranked 97th out of North Carolina’s 100 counties by GDP. Residents organized, deployed tactics and rhetoric learned in the Civil Rights Movement, and successfully halted the state’s plans. The systemic pollution and exploitation of poor communities and communities of color gained national attention, and the modern environmental justice movement was born. At the grassroots, people understand the power and the possibilities in owning and controlling land and economies. What we have done and are doing is leveraging conservation tools to increase land ownership by low-income households, communities of color and tribal communities. We are also supporting community economic development, small business development, community-led health programs, food sovereignty and helping rural and Native communities advance family income equality. Colette Pichon Battle had yet another vantage point, that of a coalition builder. Battle now is executive director of the US Human Rights Network, but for years served as director of Gulf South Rising, based in southeast Louisiana. Gulf South Rising, write Schlegel and Peng, was “a regional movement created to spotlight the disparate impacts of climate change along the Gulf Coast. Among other accomplishments,” Schlegel and Peng note, the group “built on the leadership already present in communities most affected by climate change in the Gulf Coast region and created new leaders, shifted the regional narrative among grassroots organizations from climate resilience to resisting unjust systems that support environmental injustice and established a community-controlled grantmaking fund that continues today.” In 2015, the group issued its final report, designed to coincide with the tenth anniversary of Hurricane Katrina. Identify opportunities to fund climate, economic and social resilience and solutions in the South within current grantmaking priorities or expand priorities to include those strategies. Deploy your financial, human and political capital to ensure underrepresented communities—those most impacted by environmental injustice—are meaningful partners in climate resilience conversations. Seek reparative, healing, honest relationships between grantee and grantor and within grantee communities. Make a healthy, resilient social change infrastructure a strategic priority. Equity: “You need team members who understand power, privilege, race, class and equity and who understand and are willing to address pervasive institutional racism.” And you have to be willing to use an equity lens to evaluate your work, especially to take a hard look at your grantmaking and where your other resources—like funding and staff time—are going. Aaron Tanaka, director of the Center for Economic Democracy and cofounder of the Boston Ujima Project, describes a new approach for economic development centered on the concept of “social justice enterprise,” which seeks to create a more just society by following “three pillars”: stakeholder ownership and control; social impact and community benefit; and worker and community power.